To add an opponent playbook to a FastScout report, you will want to use the OpponentPlaybook topic. 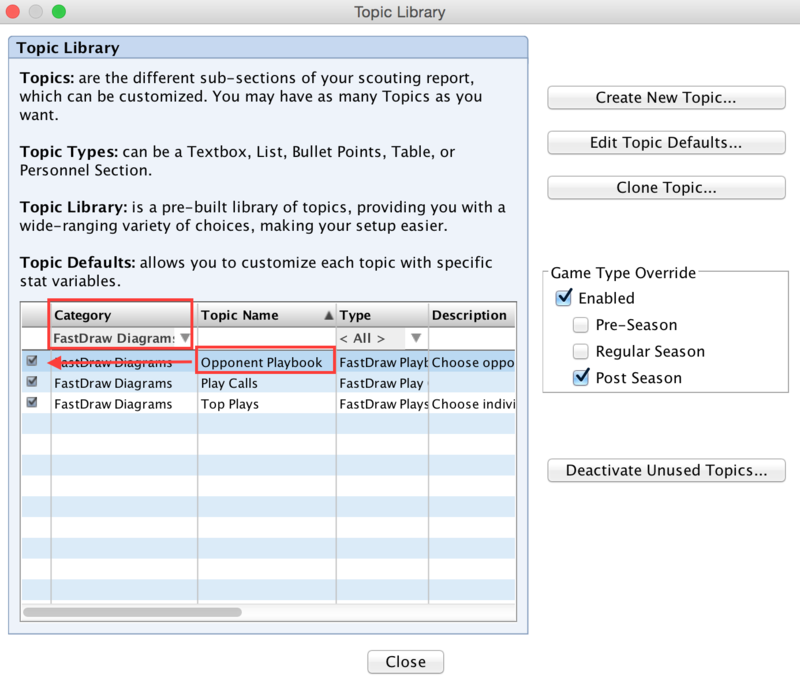 If you do not currently see the Opponent Playbook topic in your Topics section, open the Topic Library by clicking the Topic Library icon near the top. In the Topic Library, use the drop down menu under the Category header to select FastDraw diagrams. Find the topic for Opponent Playbook and make sure it is checked. When you click on the topic in the Scout tab, you will see it open in the Topic Editor window on the right, and there will be a link in blue text that says "Add Playbooks". 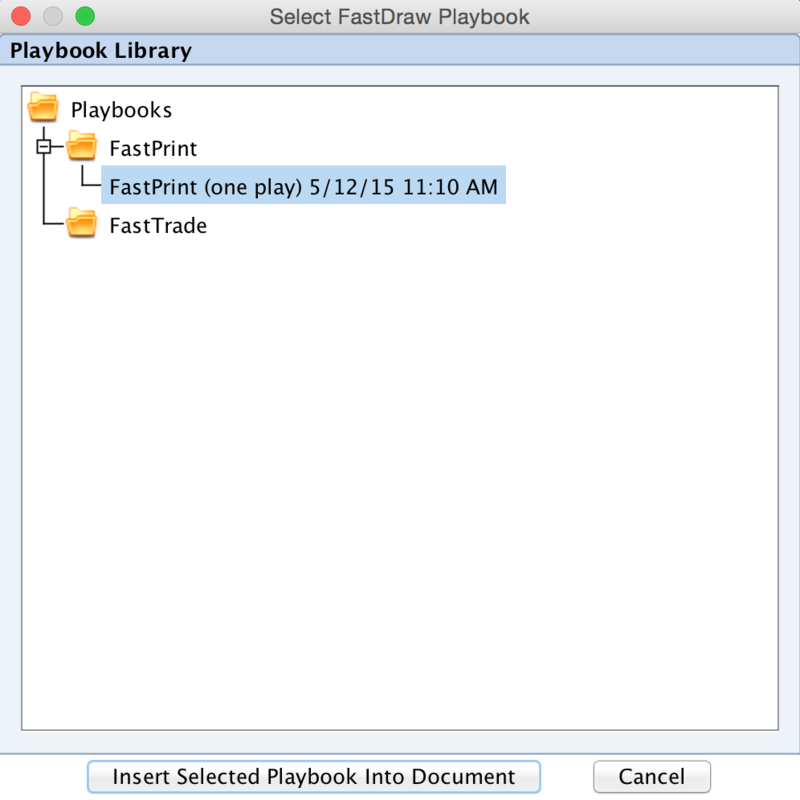 Click this link and it will take you to a list of your play books from your Playbook Library in FastDraw. Choose the playbook that you would like to add. 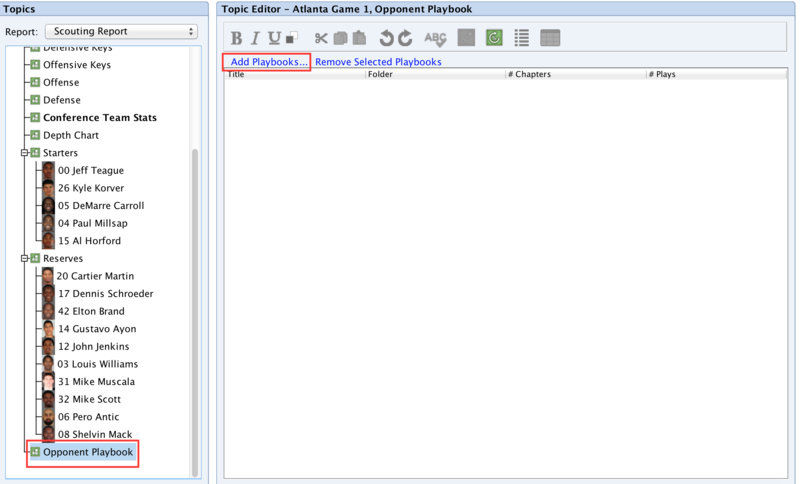 The appearance of the playbook in your report will match how it looks in the Preview tab in FastDraw. If you would like to change the layout of the playbook, use the Playbook Settings menu in FastDraw to modify how the playbook looks before adding it into FastScout. The changes you made in FastDraw will be displayed in your report.